Letting go isn’t easy. For me, it starts as I enter the dojo. I bow as I enter reminding myself to respect the space, the students our Sensei and myself. 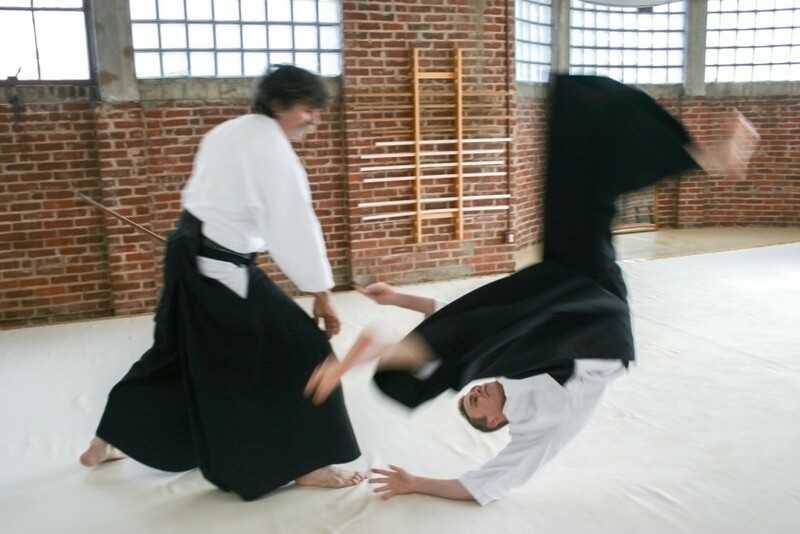 I head to the dressing rooms to change out of my work clothes and into my gi and hakama. The ritual of tying my hakama itself is centering. I wonder how many thousands individuals have done this before in this same way. I remind myself as I step on the mat to let go even more. Let go of my stress, my worries, my ego so that I can feel truly connected to everyone in the room. We start every class with meditation. We practice mind and body unification with each technique that we do and eventually over time, every once and a while, you feel it. Effortless-complete-harmony. 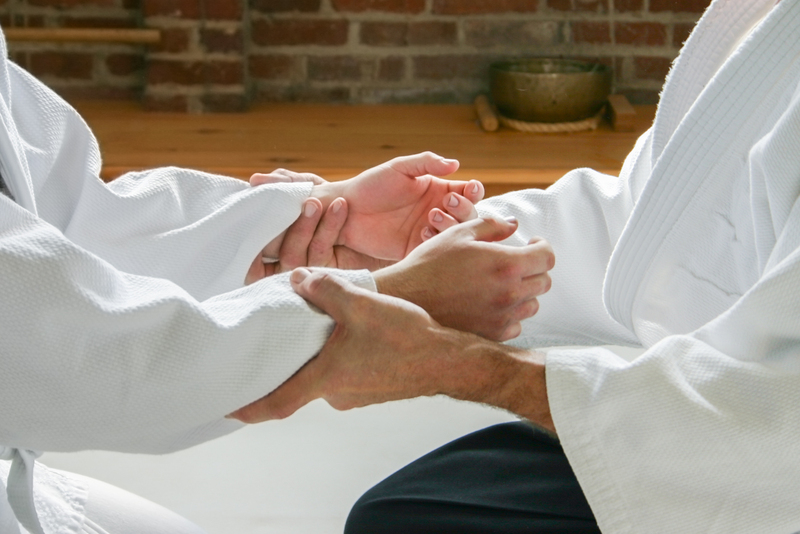 Eventually you find that you apply what you learn on the mat in your everyday life. Remaining calm under pressure is a skill that will change your life and boost your confidence. 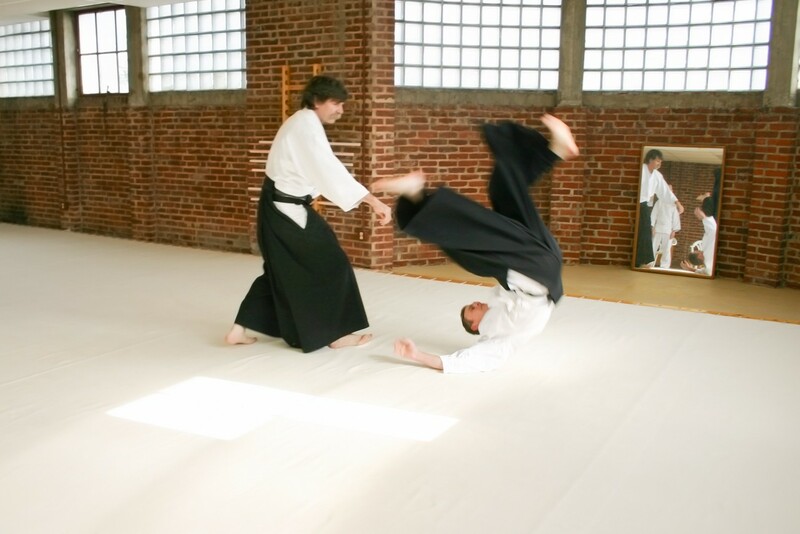 If you are looking for a mind-body experience that is challenging and rewarding in more ways than one, Aikido may be a perfect fit. Leave your stress at the door and give it a try!